The VII and VIII std. students of BVB — S. Darshan Patel, M.D. Harsha, Balaji Byrappa, C. Darshan, D. Shreyas, K. Jayanth, S.M. Deepak, P.J. 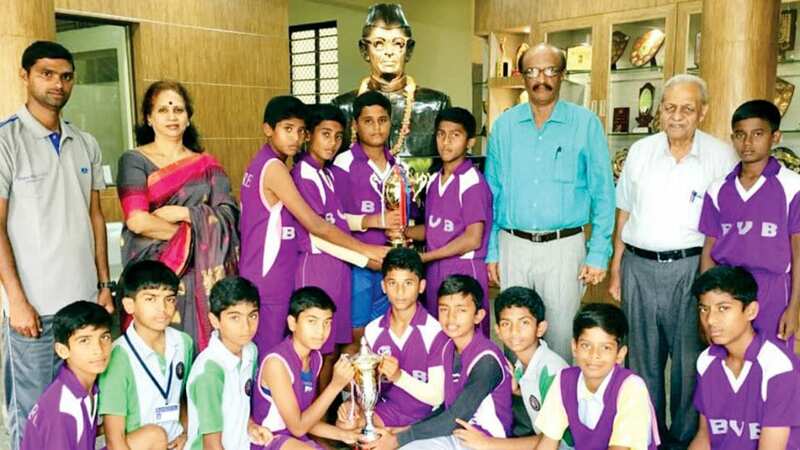 Chiranth, K. Ajay, S. Manohar, Snajan Gowda, S. Nishanth of VII std., Abhishek and Manoj of VIII std. — who won the Inter-Zone Kabaddi competition organised by the Department of Physical Education at Medar Block, Govt. School, Mysuru and are selected for the District-level contest, are seen with PE Trainer Girish, Principal Vijaya Narasimham, Hon. Secretary P.S. Ganapathy and Administrator S. Balasubramanium.